Product and brand building is a consistent and time-consuming activity that requires customization. It’s about creating a unique value proposition and provide a better experience for your customers. Let’s use these steps as guidelines for how to build a brand. You want the right person to consume your content, opt into your email list, click on your ads, right? Thus, the first step to begin with when building your brand or product is to know what people think of you. “The interesting thing about your personal brand is – it’s never what you say it is, it’s actually what everyone else says it is”. Identifying the target audience for your products or services is an exercise that will affect and benefit all areas of your brand building process. Solidify a picture of your consumers. Figure out detailed behaviors and lifestyle of your consumers. Learn how to create a brand identity that they can understand and relate to. The key is to get specific. Determining the right target audience will support your overall marketing efforts. So definitely do not skip the first step! Now that you’ve figured out who your target audience is, give them a reason to chose your product over another. Successful brand carefully defines brand values and integrates them in the entire company — sales and marketing, finance, teams, message, and offering. Delve down deep and outline the key qualities your brand offers, that no one else is offering. Thus focus on the qualities and benefits that make your product unique. People generally don’t favor brands that do not tell a story. So tell your story and make customers get emotionally attached to your brand. Choose two to four competitors for your comparison chart. You might want to take a look at other local businesses, or even aim to benchmark against name brands. You should never imitate the big brands within your industry, but it’s totally legit to be aware of what they do. Learning from their mistakes is especially the go for strategy. In other words, do what the competitors won’t do. So, research your main competitors or benchmark brands. Study how they have effectively, and ineffectively gone about building a brand name. What is the quality of the competitor’s products or services? Are they consistent with visual identity and messaging across channels? Do they have customer reviews or social mentions? What are the ways they market their business, online and offline? Stand for something you believe in. Be Innovative, Bold and Daring. Review the product or service your business offers. Pinpoint the space in the market it occupies. Make research of the rational needs and concerns of your customers. 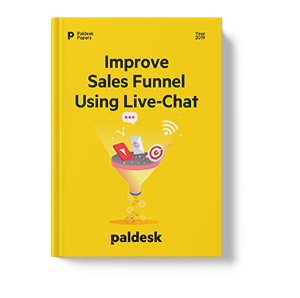 Connect with your customer base and differentiate you in the market. Make everything from the logo to tagline, voice, message, and personality reflect your mission. It’s obviously not just another search engine. Browse any list of companies considered most successful, offering the best perks or has the best reputation, and you’ll find Google at, or near the top. Let your audience know your brand personality. Your promotional campaigns message must be based on your brand personality. It is the important element of brand building strategy and it will create brand awareness in your audience minds. Picture 2. 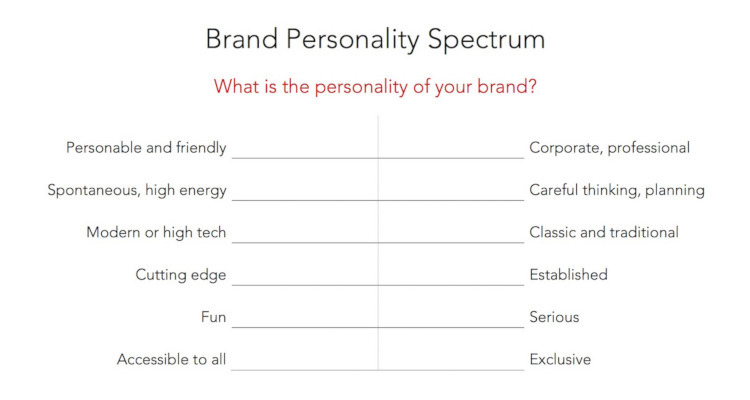 The brand personality spectrum, what is yours? Think from the perspective of a customer about the brands that you are most loyal to. Do you realize that they’ve earned your trust by being dependable? Thus unless you decide to change your brand into something that is more effective, be consistent. Consistency is the key. Stay true to your brand building. Don’t constantly change it. The inconsistency will make a long-term brand building more difficult and confuse your customers. However, many product marketing campaigns fail. Some catastrophically. They invested an incredible amount of money — $300 million on the research, production, and marketing of the Arch Deluxe. Although having taken a big swing, they failed. It’s now one of the biggest product flops in history. But strangely enough, you can still get it in France and Russia. Before the official launch, you want to get as much feedback as possible. In order to see how your product or service works, you want users to experience it. Hence create your first hand-made prototype or a product demo. This is a crucial stage for any product or service. Understanding if your product or service can deliver its expectations in the marketplace can determine its success or failure. If you are creating a website or app, use a wireframing tool. There are plenty of inexpensive ways to make prototypes these days including buying a cheap 3D printer, carving foam and wood, as well as web tools such as Mockflow or Adobe Illustrator. Before you launch it, understand your limitations and either outsource or hire the skills you need. Don’t take too long to perfect your product before releasing it. Time and consistency are the basic elements of creating a unique brand in the market. Market your products/services in tune with the time/seasons that best suit the core proposition of the product. Even if you make a mistake, just own it and make it right. Keep tracking customers’ feedback. This way, you’re not only gaining the customers’ loyalty, but also positioning yourself as an ethical innovator who takes the customers’ feedback to heart. Tell people your story and make them emotionally attached to your brand, product or service. Digital marketing is the buzzword right now. You can use different promotional and advertising channels e.g. blogs, magazines, newspapers, websites, and social media to promote your personal and business brand. Go all-out on social media. Use social media platforms smartly to promote your product and build an enviable reputation among your potential customers. We all know the Adidas tagline: “Impossible is Nothing”. Instead of telling you to do the hard work, it is illuminating inspiration and greater goal. It sells you on the dream, on the things you can achieve. Many times Adidas used social media campaigns to increase sale and brand awareness. Remember, brand and product implementation is an evolving process. Rinse, wash, and repeat. Regardless of the success or failure of your first go-around, take the knowledge you’ve discovered and recap it. Each time you will be moving closer to that success. Which brands do you think succeed the most in their brand building process? Share your comments or questions below!